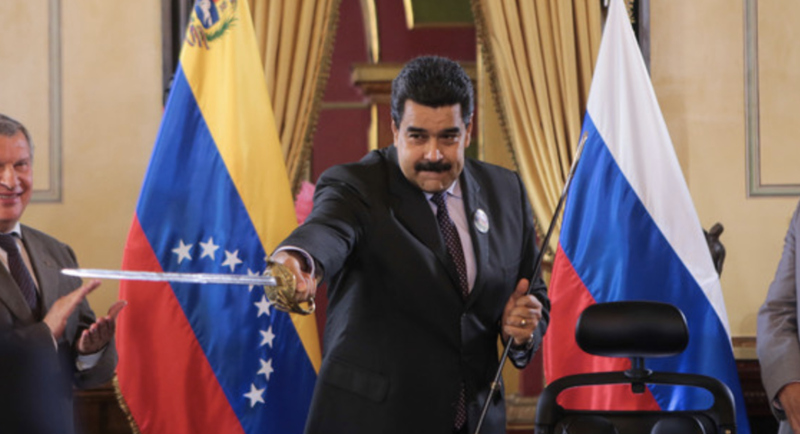 According to analysts briefed by Platts, whatever becomes of Maduro, Rosneft likely won't be cut off from Venezuelan oil because the country has abundant reserves, and oil is practically the only 'hard currency' it can access. An analyst at a Western bank estimated that Rosneft assets in Venezuela are equivalent to some $2.5 billion, plus another $2.5 billion in crude supplies owed for the loans. "The worst-case scenario - which is unlikely to materialize - under which Rosneft loses all the money it invested in Venezuela, would be biting but not critical for the company, with quarterly free cash flow at over $4 billion," the analyst told Platts. Meanwhile, the US has warned that the "path to relief" for PDVSA is via the "expeditious transfer of control" to opposition leader Juan Guaido, which the US insists should be followed by Democratic elections. So, Putin is ready to wage war against the USA! Good thing we've got our SDI fully operational. War between Russia and the USA is inevitable. We should have settled this with the USSR and China after the Germans capitulated. Had we done that there would never have been a Korean WAR or a Vietnam WAR, or any problems with the damned Muslims! Today we pay a penalty due to electing pansies to rule and ruin our lives and our nation.